Wesley's theory (featuring George Clinton & Thundercat) (4:47) -- For free? (interlude) (2:11) -- King Kunta (3:55) -- Institutionalized (featuring Bilal, Anna Wise & Snoop Dogg) (4:31) -- These walls (featuring Bilal, Anna Wise & Thundercat) (5:01) -- U (4:28) -- Alright (3:39) -- For sale? (interlude) (4:52) -- Momma (4:43) -- Hood politics (4:53) -- How much a dollar cost (featuring James Fauntleroy & Ronald Isley) (4:22) -- Complexion (a Zulu love) (featuring Rapsody) (4:23) -- The blacker the berry (5:31) -- You ain't gotta lie (momma said) (4:02) -- I (5:36) -- Mortal man (12:07). 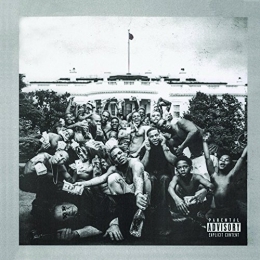 Performed by Kendrick Lamar ; with various musicians.